Welcome to Something About Coins! 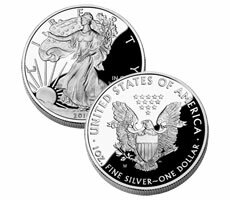 The U.S. Mint has been busy releasing the 2011 Proof Silver Eagles on Thursday and the Grand Canyon 5 oz Silver Coin on Wednesday. Plus, a waiting list is being taken for the sold out Yosemite 5 oz Silver Coin. Details can be found in the articles linked below. An exhibit of the all-time finest U.S. type set ever assembled of coins dated 1792 - 1964 will be displayed at the ANA World's Fair of Money show in Chicago in August. More details emerge on the 2007 proof Platinum Eagle error coin, and a rare Spanish shipwreck error coin was found. Doug Winter made another interesting rare gold coin list, this time of coins he almost never sees for sale anymore. Enjoy!